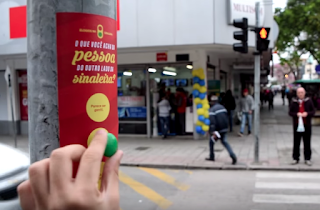 Biscoitos ZeZe, a Brazilian cookie brand, is trying to spread some love in Brazil in the form of compliments. 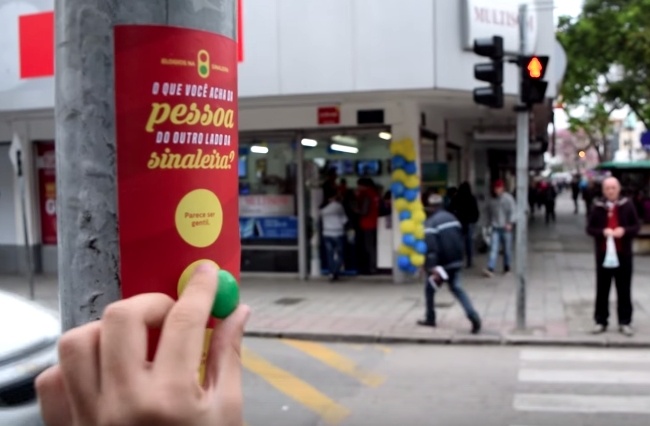 They hit the streets to post stickers on opposing traffic lights asking pedestrians to tell the person across the street what they think of them. Pedestrians can choose from one of six different compliments and when the person across the street gets to the other side they'll see their compliment. A sweet gesture from the makers of a sweet treat (hey, that was the only connection to cookies I saw here).